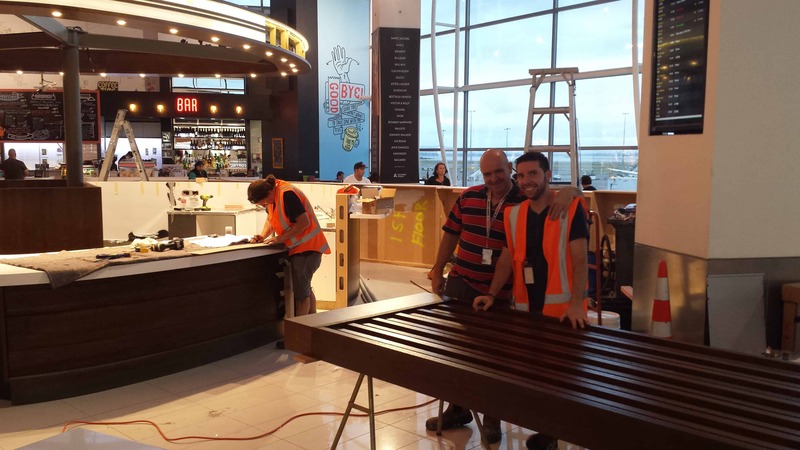 Datum Projects are spending plenty of time air side at Auckland International Airport at the moment. Having recently completed the manufacture and installation of Hayama Sushi and Noodle kiosk airside, we were invited to submit a competitive tender for a neighbouring juice bar for HMS Host. We were delighted to be awarded “Juicy Details” and further assisted our client in value engineering the contract to reduce their budget accordingly. Our stringent Health & Safety and Project Management policies lend themselves perfectly to AIAL’s air side requirements. We’re looking forward to a timely project handover and (hopefully) plenty more air side projects!